Camille Leblanc-Bazinet is one of the world’s top CrossFit athletes. She’s been to the CrossFit Games four times and will compete again this summer in the 2014 CrossFit Games.She’s a BSN sponsored athlete and has aspirations for competing in Weightlifting in the 2016 Olympics. Having a resume that impressive doesn’t come without a life dedicated to improvement. She has finished in the top 10 at the Reebok CrossFit Games for the past three years, improving her placing each year (9th in 2010, 8th in 2011, and 6th in 2012). She has also been the highest-placing Canadian athlete at the Games each of the past three years, male or female, which makes her the fittest woman in her country. 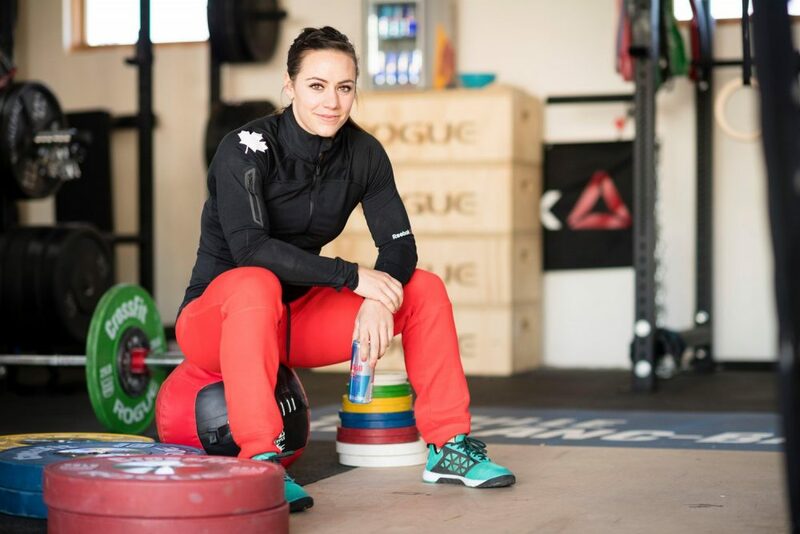 Along with her CrossFit accomplishments, Camille has qualified for the National Championship in weightlifting in Canada, while also remaining a full-time student in chemical engineering at the University of Sherbrooke. Camille has been a competitive athlete her entire life. She did high-level gymnastics for 14 years, starting at 2 years old and retiring at 16 in order to coach younger girls and to try new sports. She played senior AA soccer, played volleyball in high school, was the captain of her college flag football team, and also enjoys running half-marathons, skiing and playing rugby. Always passionate about sports and health, Camille is continuing her sports education and working toward her Olympic lifting, CrossFit and gymnastic certifications. She is also interning to be on the staff for CrossFit Headquarters and to coach with legendary Olympic lifting coach Mike Burgener.Camille’s profile continues to rise and she is constantly in demand for appearances and photo shoots, and has graced the covers of numerous sports and fitness publications. She’s also been nominated as one of the five most influential female athletes in Canada. With her youth, athleticism and dedication to constant improvement, Camille’s career seemingly has nowhere to go but up, and BSN® is thrilled to have her represent the brand to the CrossFit community and the world at large. Camille Leblanc-Bazinet, the 25-year-old student from Richelieu, Que., now proudly wears the title of the World’s Fittest Woman after winning the Reebok CrossFit Games in Carson, Calif. She beat out two-time champion Annie Thorisdottir of Iceland to become the first Canadian woman to claim the title as fittest female on the planet in the competition’s eight years of existence. In fact, based on her performance at the recent competition, Leblanc-Bazinet might even qualify as the fittest person in Canada. There aren’t many of either gender who could even survive the CrossFit Games, never mind excel in a field of highly motivated competitors doing weightlifting, gymnastics and high-intensity interval training. Let’s just say that the competition was pretty much a test of every physical skill and many mental ones, which might explain why first prize was $275,000 U.S. For example, the first event involved swimming 1,000 yards in a rather choppy Pacific Ocean followed by kettle bell squats and burpees. Other events involved squats with weights up to 200 pounds, running and pull-ups. The University of Sherbrooke chemical engineering student accomplished this feat after only five years in CrossFit, a sport she took up after looking for a way to keep fit after her gymnastics career.